In most cases when an individual is dismissed from their job, their employer offers them a termination package. A termination package is an offer that contains an amount of money, usually representing the value of the employee’s salary over a period of time. Sometimes the amount of time equates to the statutory minimum notice period according to the Employment Standards Act, sometimes it is more. Termination packages are almost always conditional on the employee signing a release. A release is a contract that prevents the employee from suing the employer in the future for wrongful dismissal. In litigation, offers to settle are protected by ‘settlement privilege’ and cannot be referenced during the law suit. The reason for this is that privilege is intended to encourage settlement, protect parties to negotiations, and promote open communication. 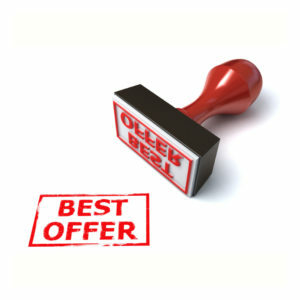 For an offer to be considered settlement privileged it must: 1) be made for the purpose of settling a dispute; and 2) the party making the offer must expressly or implicitly intend that the communication be excluded from evidence in the event that no settlement is achieved. So, is a termination package an offer to settle, and is an employer allowed to refer to a termination package to the court during a law suit? This issue was before the court in Ramos v Hewlett-Packard (Canada) Co., 2017 ONSC 4413. In this case, the court held that the termination package was protected by settlement privilege. It found this because, 1) it was an offer to settle, 2) it was intended to be without prejudice and to buy peace between the parties, 3) the offer was made in an effort to avoid litigation, 4) there was an element of compromise in the offer, in that the employee would receive money in exchange for signing the release, and 5) if the settlement was agreed to, the parties were to keep the terms confidential. However, there are always exceptions to the rule, and if you find yourself dismissed from employment, please contact Monkhouse Law to discuss your termination package, and the best course of action in how to proceed.